Pentax has announced a new compact digital camera called Pentax Optio M85. The M85 is a stylish compact with a metal body (but is still light weight) and 12 megapixels. The Pentax Optio M85 will be launched in October 2009. 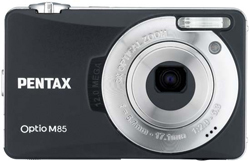 PENTAX launches simple and stylish digital compact camera, Optio M85 in October 2009. CNET UK ends up giving the Fujifilm FinePix F70EXR an “Excellent” 8 out of 10 rating as the camera takes good pictures, has good build quality and has a very useful zoom range. On the downside there is a bit of colour-fringing that can produce pictures of lower quality in some situations. 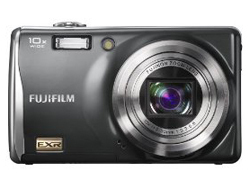 Read the full review of the Fujifilm FinePix F70EXR camera here. The German testing website Photozone has tested the Olympus Zuiko Digital 12-60mm f/2.8-4 ED SWD lens. This Olympus lens is a part of the “pro” class which means environment sealing, higher build quality and good optical abilities. Photozone gives the Olympus Zuiko Digital 12-60mm f/2.8-4 ED SWD a “Highly Recommended” rating as the lens produces very sharp and contrasty images. For a standard zoom lens there are little vignetting, chromatic aberrations and distortions. The build quality is very good and so is the autofocus. Seems like a fine lens for Olympus photographers. Read the full review of the Olympus Zuiko Digital 12-60mm f/2.8-4 ED SWD lens here. 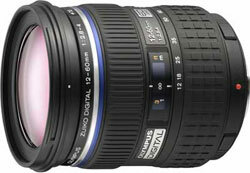 SLR Gear has reviewed the super wide Sigma 10-20mm f/3.5 EX DC HSM lens. 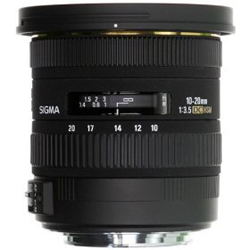 With its constant f/3.5 this Sigma lens seems to be interesting for people who like to do wide angle photography. It remains to be seen what the reviewer thinks about the lens. SLR Gear ends up giving the Sigma 10-20mm f/3.5 EX DC HSM a very good review as the lens is able to take very sharp pictures especially at the wide end (where it counts). There is a bit of chromatic aberration, but there is less vignetting and corner shading than in the previous version of this Sigma lens. Read the full review of the Sigma 10-20mm f/3.5 EX DC HSM lens here.